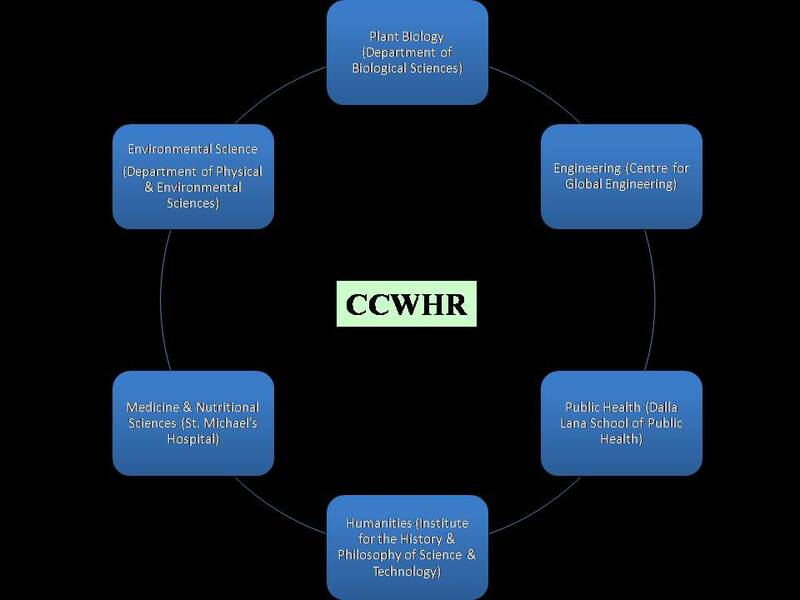 The mission of the Canadian Centre for World Hunger Research (CCWHR) is to advance global food security through the development and innovative application of cutting-edge science and technology. The Centre will strive to deliver major improvements in the productivity and sustainability of the world’s leading crops, particularly in the context of the needs of the developing world. In addition, the Centre will play a leading role in educating the Canadian public about hunger and its alleviation. The harvesting of sunlight by plants is the basis of virtually all life on earth, which singles out the paramount importance of agricultural plant productivity to the hunger problem. For this reason, the Centre will primarily focus on the growth of crop plants, in particular that of cereal species, which, directly and indirectly, provide the vast majority of calories for human sustenance. Hunger is one of the most pressing problems in the world today. Despite the historic strides made possible during the Green Revolution, there are still some 850 million humans who suffer from chronic hunger, or about 12% of the world’s population. Of these, more than a third are children, and, every day, an estimated 8000 children under the age of five die of malnutrition. The causes of hunger and famine are deeply complex, ranging from political problems of warfare and distribution, to production problems such as salinity, soil erosion, and falling water tables. In recent years, new factors have come into play, from climate change, to the diversion of crops to luxury foods and biofuels, to market speculation and economic uncertainty. Nevertheless, solutions to hunger problems do exist and can take many forms, from resolution of armed conflicts, to promotion of equality among social groups, and improvements in food distribution. The most significant advances in the fight against hunger, however, have undoubtedly come from the application of scientific knowledge to agriculture. This activity has roots tracing as far back as the domestication of crops and the beginning of civilization, and came to its greatest fruition in the 1960s during the Green Revolution, which was responsible for a tripling of the world’s grain yields, and the saving of millions of lives from starvation. Despite such monumental achievements, however, rates of increase in the global food supply have fallen significantly behind rates of human population growth, and global stockpiles of staple foods cannot be relied upon in the long term. This challenging situation calls for a substantial renewal of investment in scientific research to fight the battle against hunger. Canada, with its abundant natural resources, highly educated population, and one of the highest per capita GNPs in the world, has the ability, responsibility, and compassion to lead the world in developing innovative means of fighting hunger. This can be achieved through initiatives centered at the best institutions in the country, none of which is more suitable than the University of Toronto, with its long history of scientific discovery, and development of breakthrough technologies in the service of the greater good. With this aim in mind, we have founded the Canadian Centre for World Hunger Research at the University of Toronto’s Scarborough campus. The Centre is designed to be at the vanguard of the fight against hunger in the Canadian academic landscape. It will provide high-level analysis and scientific solutions to problems of food security, create a concerted platform for researchers of many fields to share insights into hunger issues, and reach out to the broader public through education and technological applications. In our quest for vibrant debate, engagement of the public, and the design of practical solutions, we have developed close collaborations both locally and internationally. In Toronto, we are affiliated with the University of Toronto’s Centre for Global Engineering, the Dalla Lana School of Public Health, St. Micheal’s Hospital, and the Institute for the History and Philosophy of Science and Technology. Internationally, we are tied with the International Rice Research Institute, the Chinese Academy of Sciences, and other leading agencies around the world.